Pinnacle Property Services supply our Local inventory Clerks in many different locations across London, Kent and the surrounding areas. We will always provide professional unbiased Inventory Services at competitive prices to suit Letting Agents, Landlords and Tenants alike from as little as £59. There are many Local Inventory Clerks offering these services. It is the attention to detail that our professional local inventory clerks provide, which sets us apart from our competitors. Our low prices are definitely competitive and the difference with Pinnacle Property Services is that, we aim to provide a service second to none. Our prices have not changed since 2012, so rest assured that our Local Inventory Clerks will offer exceptional services and prices. We value our customers and their feedback of our Local Inventory Clerks services, so rest assured that a near perfect approach is always attempted, to ensure that a great value for money service is achieved and a good customer relationship is built. We have not been able to list every single area that our Local Inventory Clerks cover but we have named a few of the areas below where we regularly carry out work. 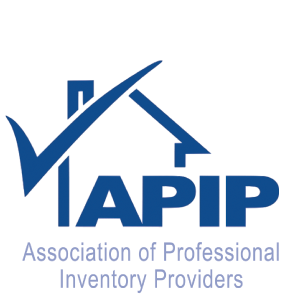 Pinnacle Property Services aim to offer the most dilligent and detailed Inventory schedule that Agents, Tenants and Landlords will be happy with following standards set out by APIP. Abbeywood, Barking, Bermondsey, Bethnal Green, Bexleyheath, Bexley, Bickley, Blackheath, Bow, Brockley, Bromley, Camberwell, Catford, Chatham, Chiselhurst, Crayford, Crockenhill, Crofton Park, Crowborough, Crystal Palace, Dalston, Dartford, Deptford, Docklands, Dulwich, East Ham, Eltham, Erith, Eynesford, Forest Hill, Gillingham, Gravesend, Grays, Greenwich, Grove Park, Hackney, Hartley, Higham, Homerton, Honor Oak, Ilford, Istead Rise, Kings Hill, Lee, Lewisham, Limehouse, Loughton, London Bridge, Maidstone, Medway, Meopham, Mile End, New Cross, New Eltham, Northfleet, Orpington, Oval, Paddock Wood, Peckham, Petts Wood, Pimlico, Plaistow, Plumstead, Poplar, Rainham, Rochester, Rotherhithe, Sidcup, Sittingbourne, Southfleet, Snodland, Stratford, Strood, Surrey Quays, Swanley, Sydenham, Tonbridge, Thurrock, Walworth, Walderslade, Welling, West Kingsdown, West Malling, Wilmington, Woodford and Woolwich.